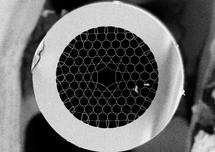 MIT researchers have developed nanotechnology that could turn shrubbery into supercharged energy producers or sensors for explosives; Oxford University researchers have created an optical memory within a hollow-core optical fiber and shown to operate at the level of a single particle of light. 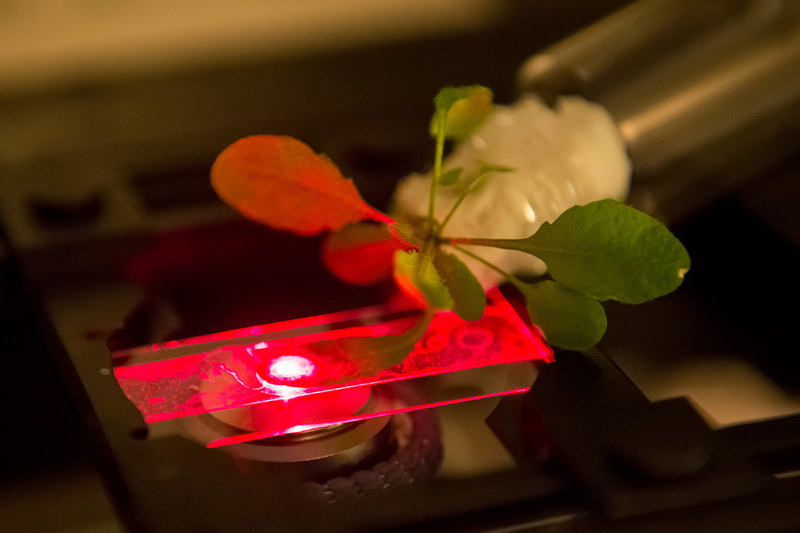 A team of MIT researchers wants to make plants more useful by augmenting them with nanomaterials that could enhance their energy production and give them new functions including environmental pollutant monitoring. The team reported that they’ve boosted the ability of plants to capture light energy by 30% by embedding carbon nanotubes in the chloroplast, the plant organelle where photosynthesis takes place. Using another type of carbon nanotube, they also modified plants to detect the gas nitric oxide. Plants are attractive as a technology platform because they repair themselves, they’re environmentally stable outside, they survive in harsh environments, and they provide their own power source and water distribution. The researchers envision turning plants into self-powered, photonic devices such as detectors for explosives or chemical weapons. The researchers are also working on incorporating electronic devices into plants. The idea for nanobionic plants grew out of a project in a lab to build self-repairing solar cells modeled on plant cells. As a next step, the researchers wanted to try enhancing the photosynthetic function of chloroplasts isolated from plants, for possible use in solar cells. One highlight of the research showed that Arabidopsis thaliana plants could be turned into chemical sensors by delivering carbon nanotubes that detect the gas nitric oxide, an environmental pollutant produced by combustion. In what Oxford University researchers are calling a world-first, an optical memory, which is a key component for quantum computers, has been created within a hollow-core optical fiber and shown to operate at the level of a single particle of light (a photon). Single photons of light are the basic building blocks for quantum-enhanced computers and sensors. Unfortunately, creating exactly one photon is exceptionally challenging as most sources of single photons only work rarely and at random intervals. As a result, creating many single photons at the same instant becomes extremely unlikely – a major drawback for anyone hoping to use single photons to perform calculations. In theory, an optical memory could store single photons generated by individual sources, in effect briefly ‘caching’ them, so that many synchronized single photons could be produced at once. Such synchronized photons could be used to perform calculations many times faster than conventional computers. Researchers at Oxford have demonstrated that light pulses can be stored and retrieved using cesium atoms confined in the center of a specially designed hollow-core optical fiber at room temperature. Unlike the standard fiber made with a glass core that might be buried under the street to carry home broadband, these fibers can guide light in an empty core that can then be loaded with atoms to enhance their interaction with optical pulses. As the light and atoms are confined to a small area inside the fiber, the amount of energy needed to operate the memory is reduced by a factor of 200. The researchers showed that light could be stored with a noise level that was much less than that of a single photon, which points to the memory’s promise for storing pulses of light with interesting quantum properties.